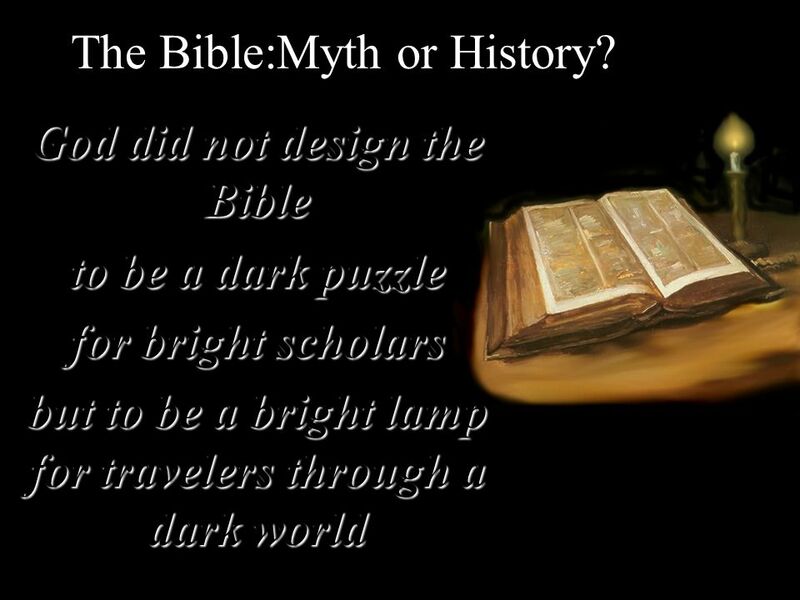 1 The Bible:Myth or History? 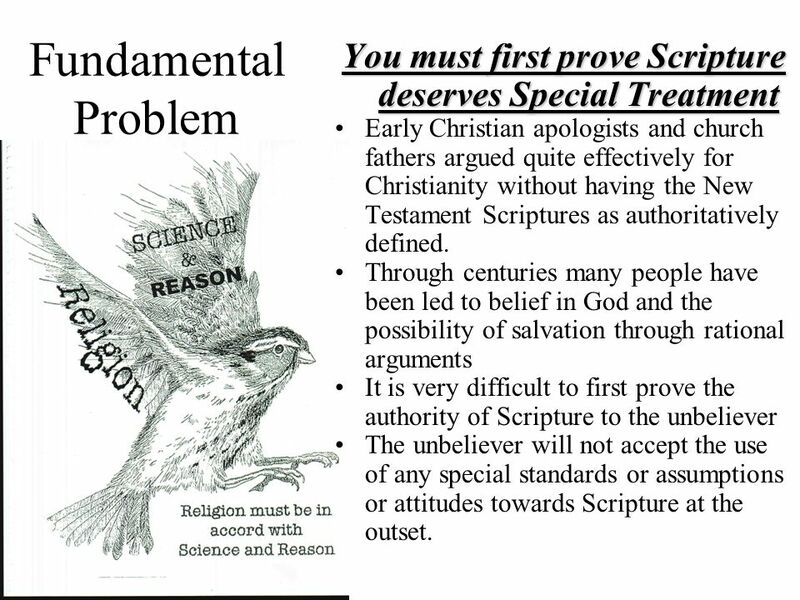 Fundamental Problem You must first prove Scripture deserves Special Treatment Early Christian apologists and church fathers argued quite effectively for Christianity without having the New Testament Scriptures as authoritatively defined. 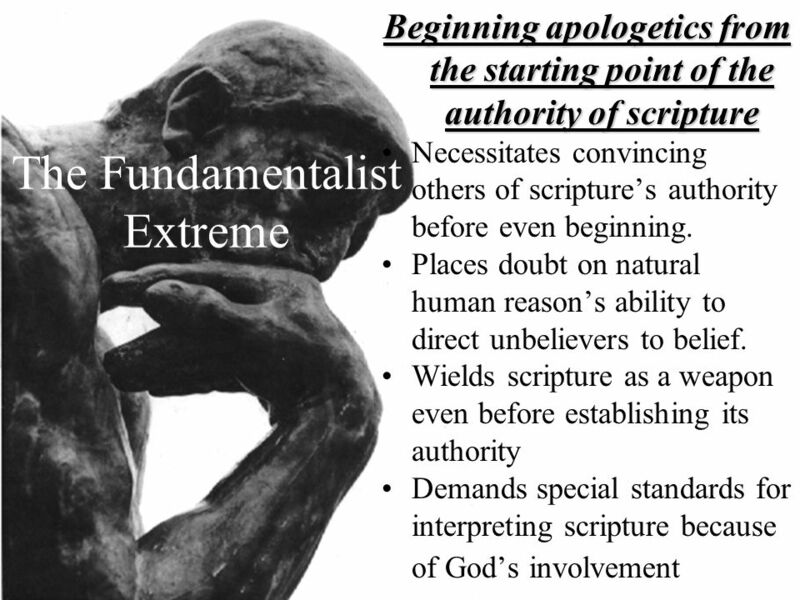 Through centuries many people have been led to belief in God and the possibility of salvation through rational arguments It is very difficult to first prove the authority of Scripture to the unbeliever The unbeliever will not accept the use of any special standards or assumptions or attitudes towards Scripture at the outset. 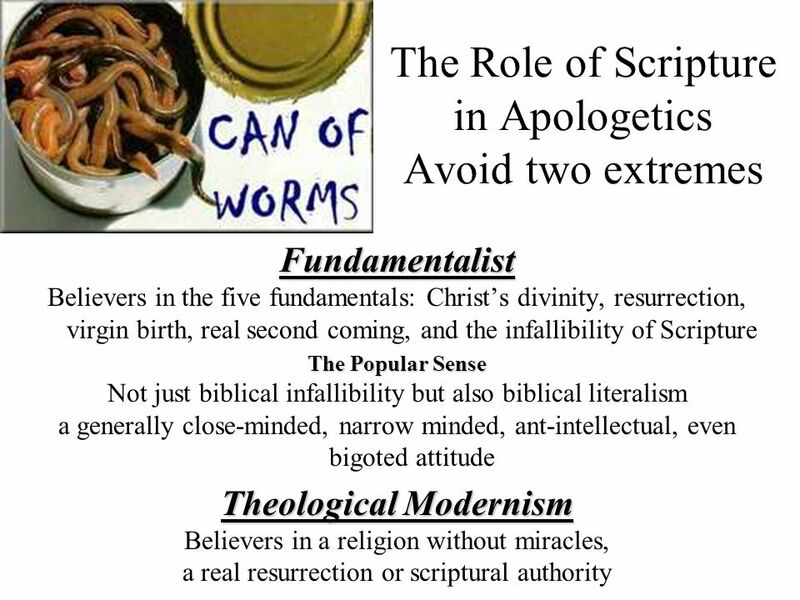 The Modernist Extreme Interpret everything miraculous or supernatural or morally unpopular non-literally, and insist right from the start on an unbelieving, skeptical attitude toward the Bible. 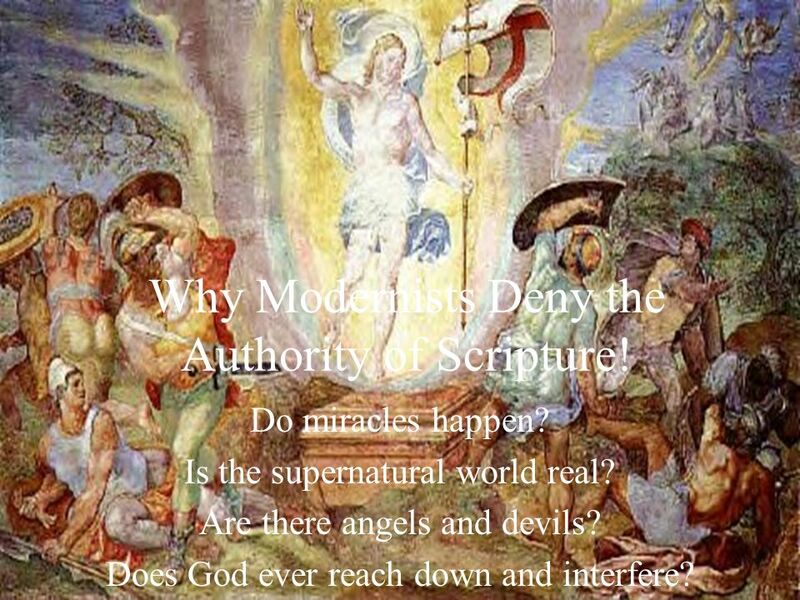 18 Why Modernists Deny the Authority of Scripture! Do miracles happen? 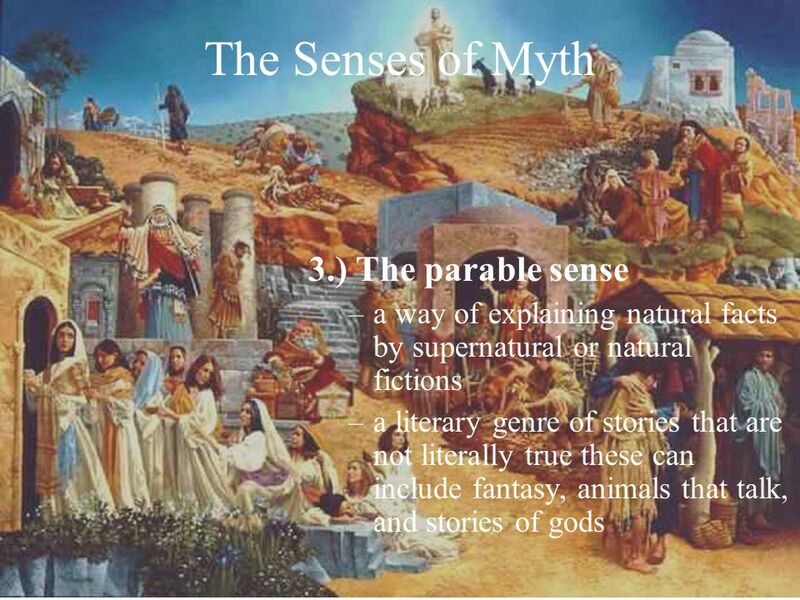 Is the supernatural world real? 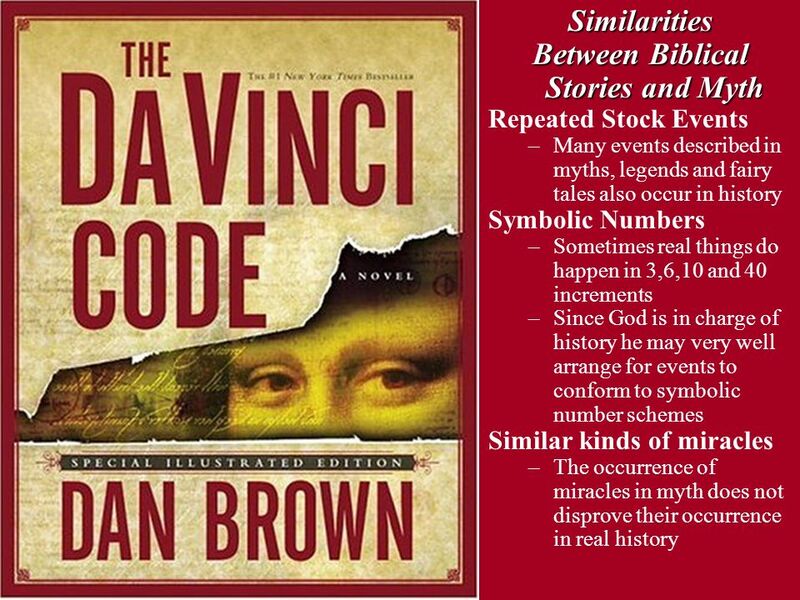 Are there angels and devils? 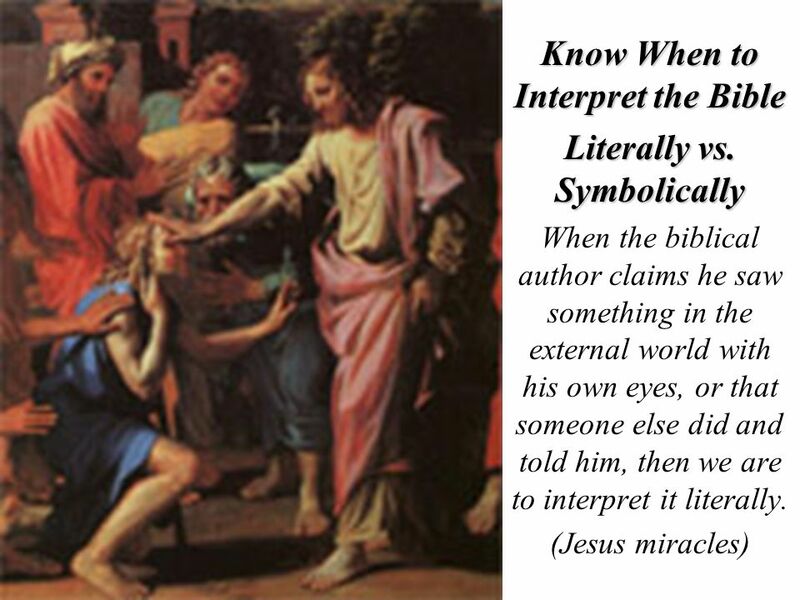 Does God ever reach down and interfere? 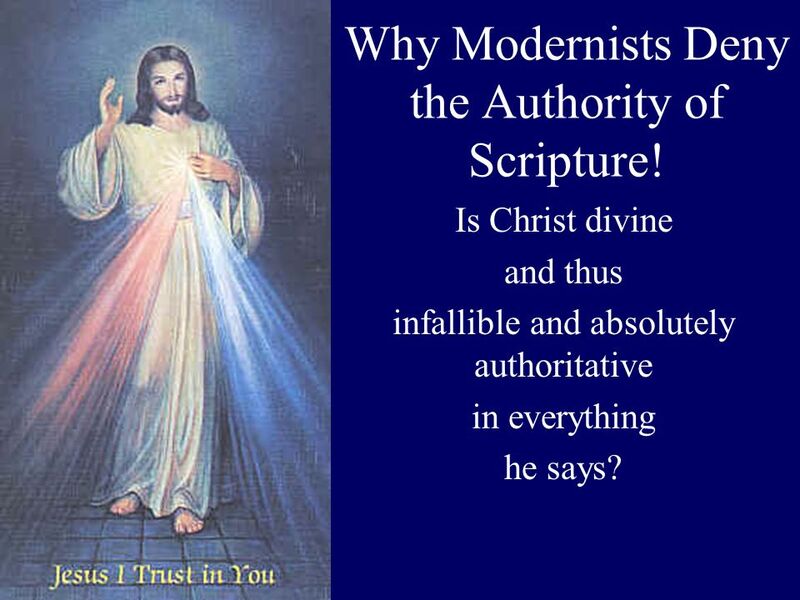 19 Why Modernists Deny the Authority of Scripture! 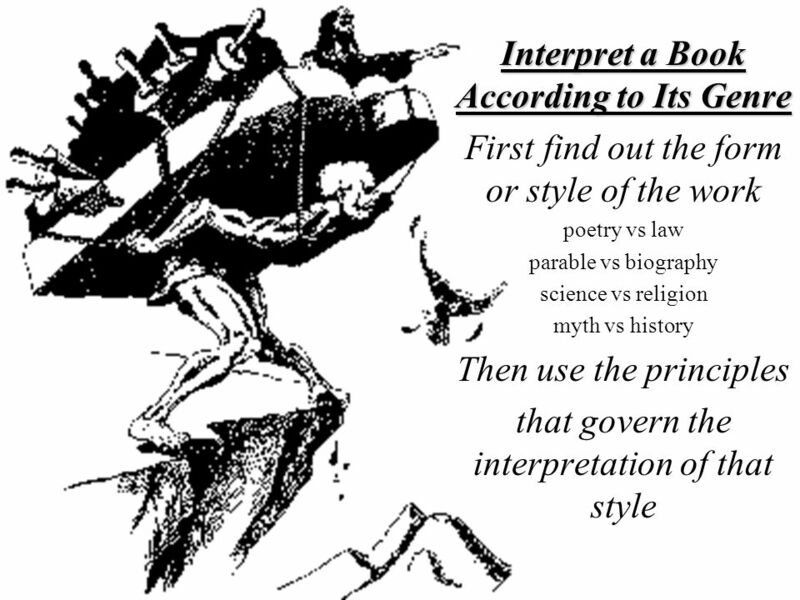 Is there a super-naturally given moral law? 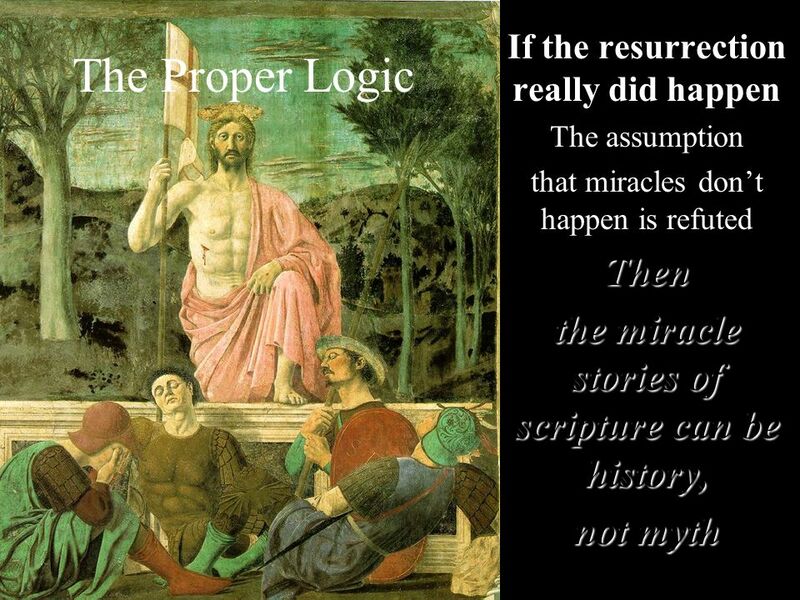 Did God not just Moses invent the ten commandments? 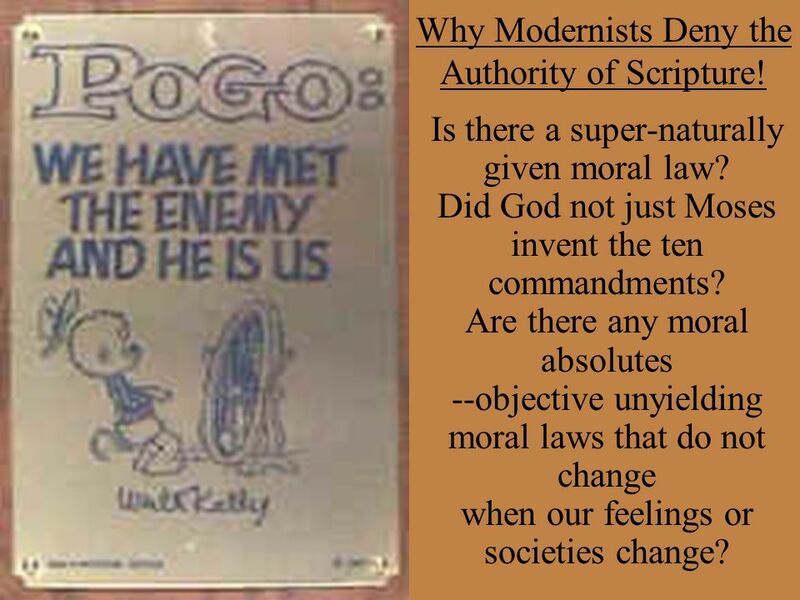 Are there any moral absolutes --objective unyielding moral laws that do not change when our feelings or societies change? 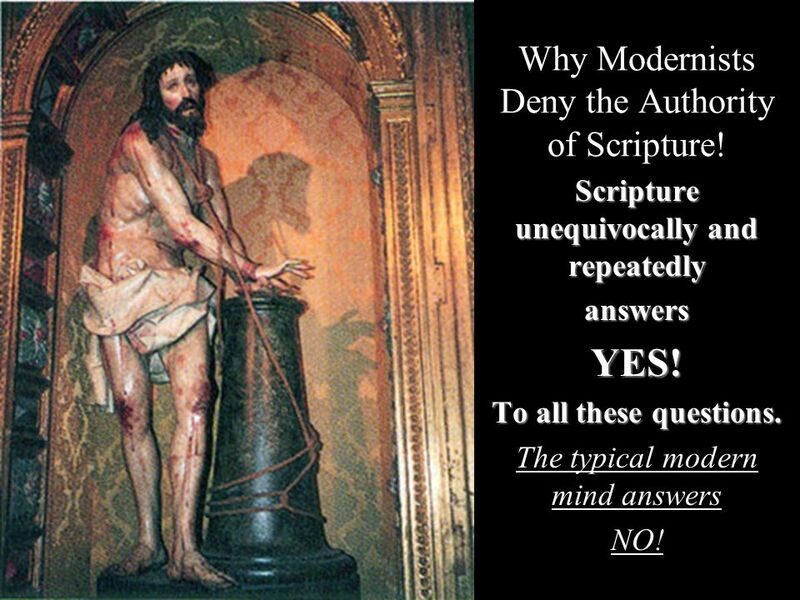 20 Why Modernists Deny the Authority of Scripture! 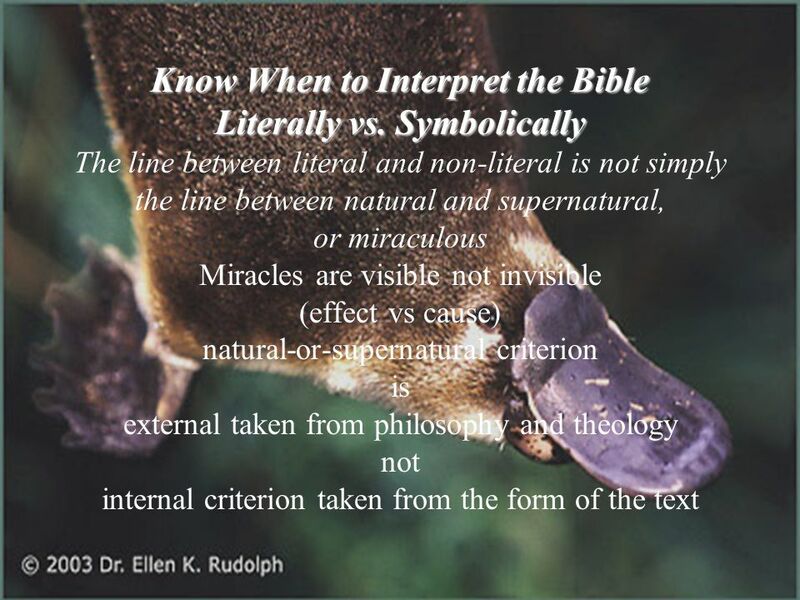 Is Christ divine and thus infallible and absolutely authoritative in everything he says? 21 Is human life on earth a spiritual warfare? Are the stakes in life infinite? 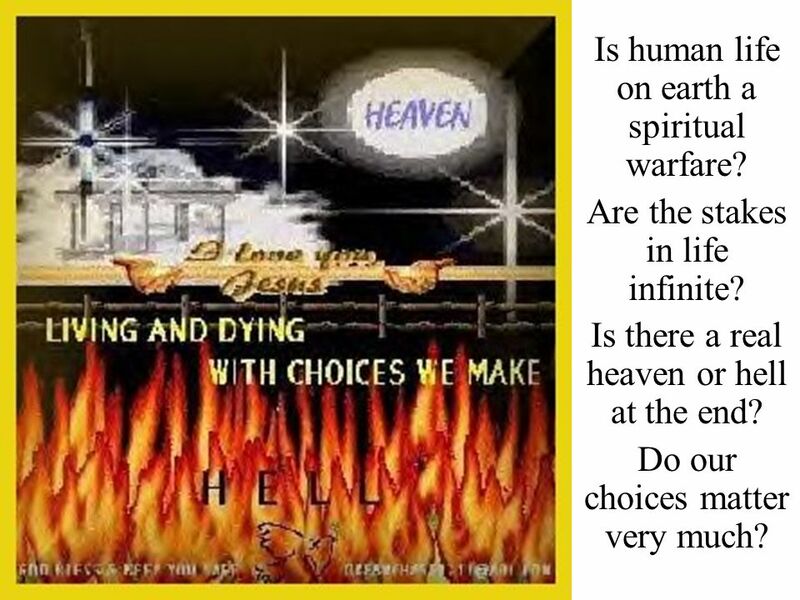 Is there a real heaven or hell at the end? 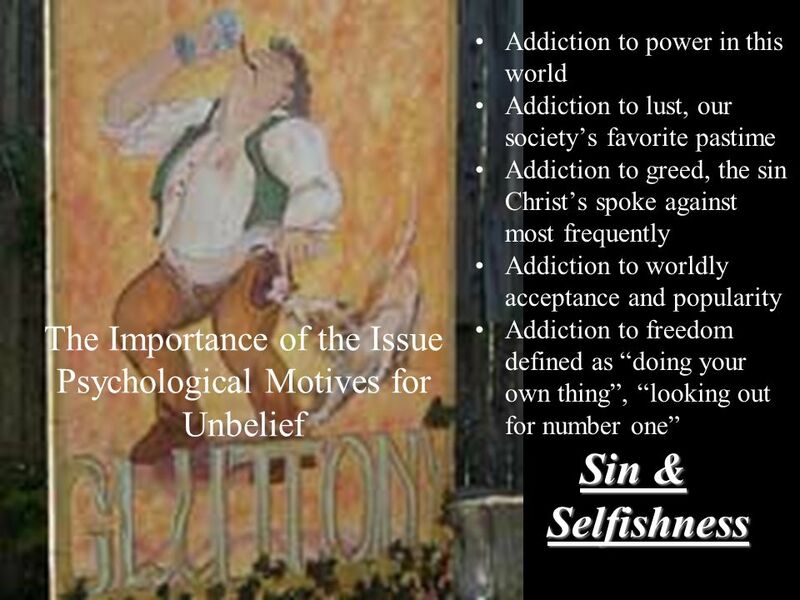 Do our choices matter very much? 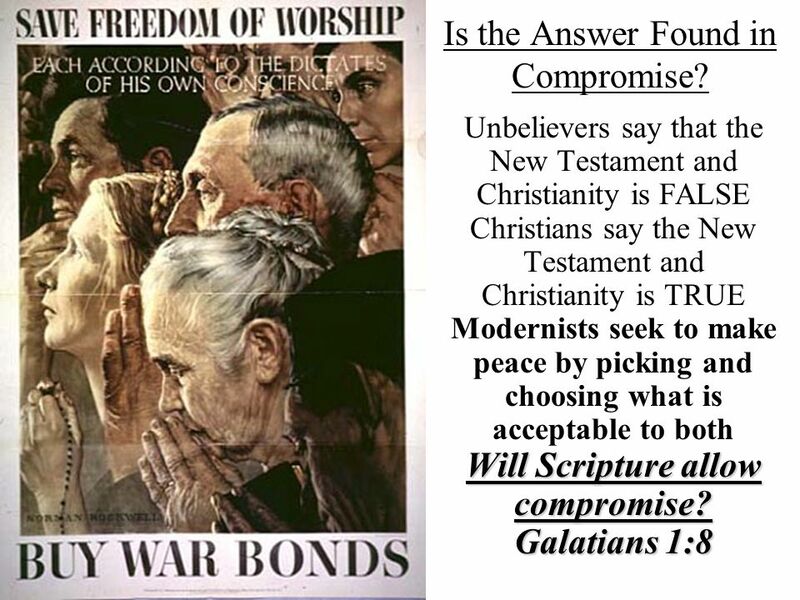 22 Why Modernists Deny the Authority of Scripture! 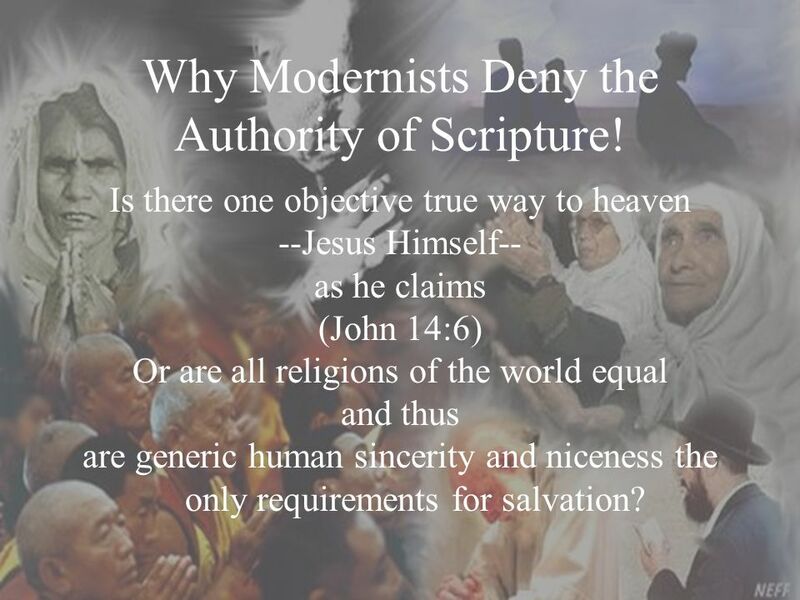 Is there one objective true way to heaven --Jesus Himself-- as he claims (John 14:6) Or are all religions of the world equal and thus are generic human sincerity and niceness the only requirements for salvation? 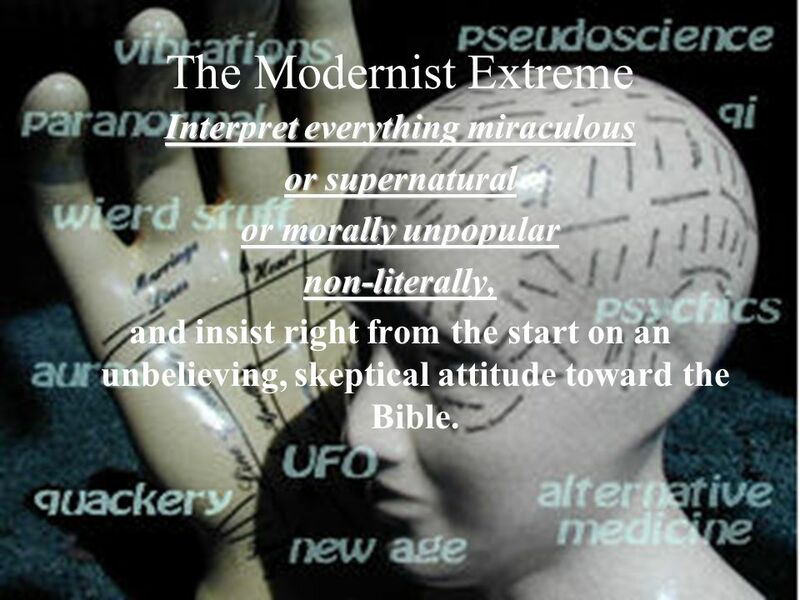 23 Why Modernists Deny the Authority of Scripture! 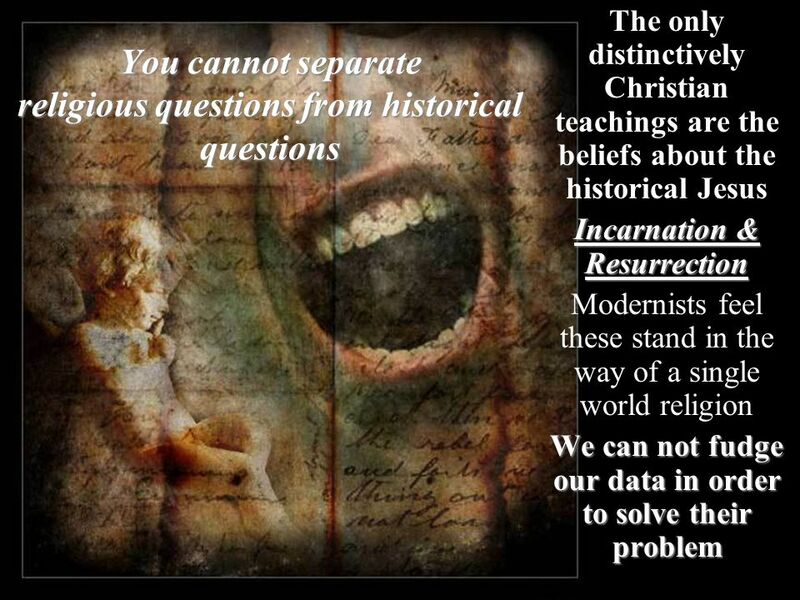 Scripture unequivocally and repeatedly answers YES! To all these questions. 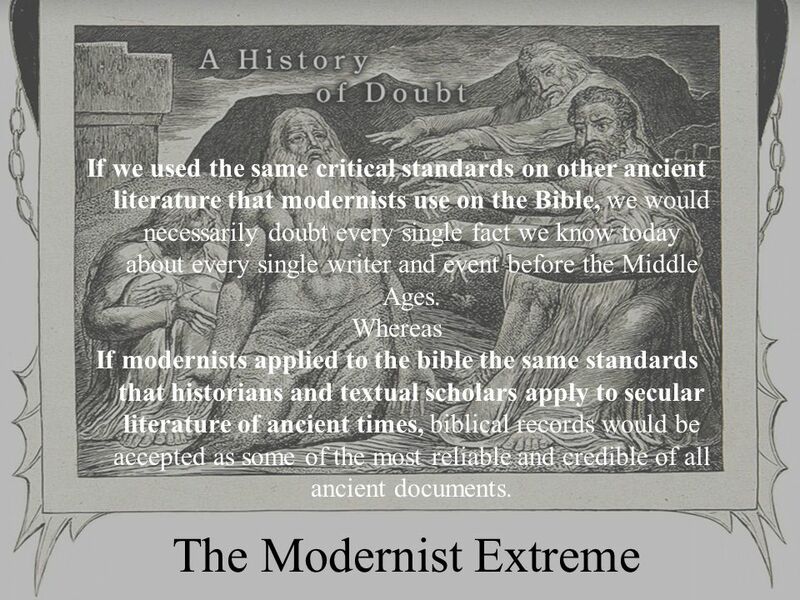 The typical modern mind answers NO! 24 Is the Answer Found in Compromise? 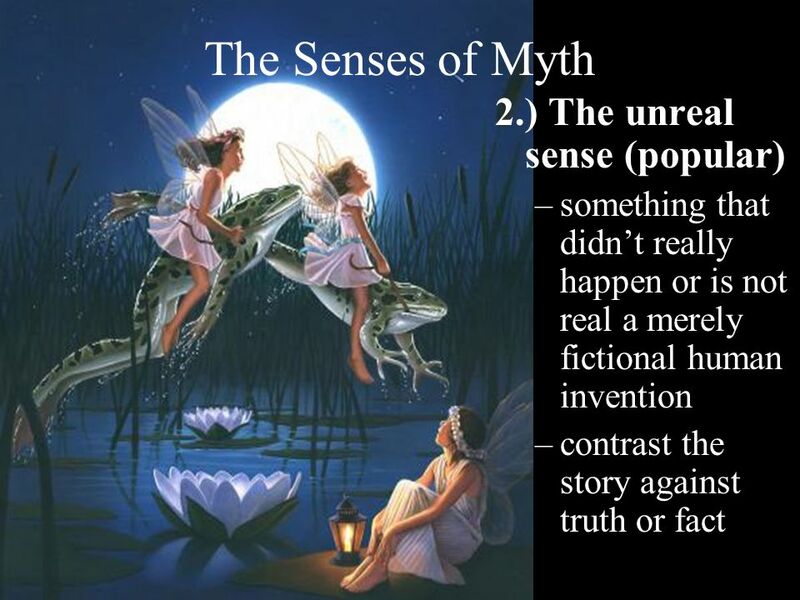 36 then the cure can also be myth. 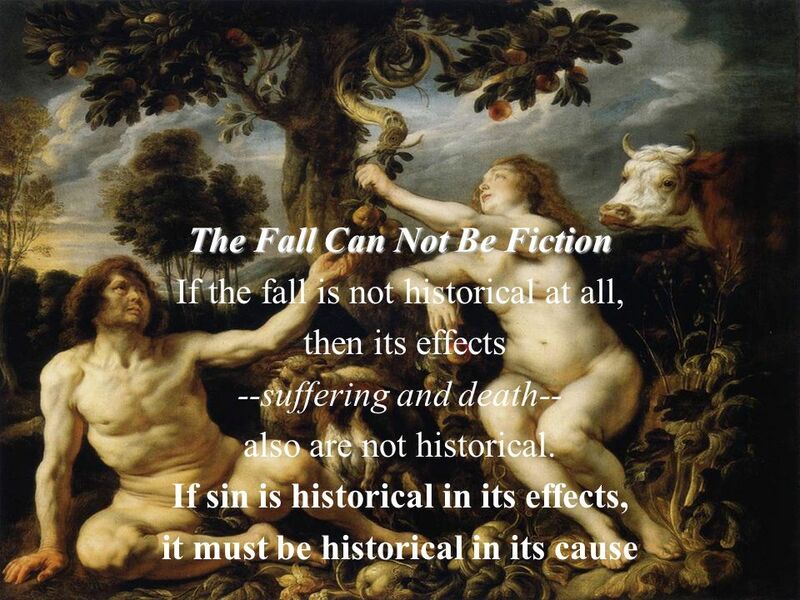 The Fall Can Not Be Fiction If Adam’s fall didn’t really happen, then Christ’s salvation need not really happen either. 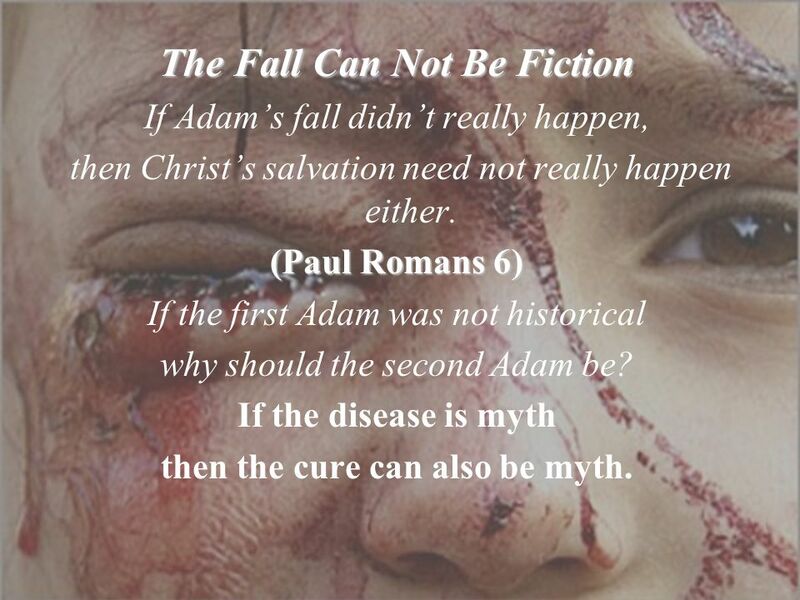 (Paul Romans 6) If the first Adam was not historical why should the second Adam be? 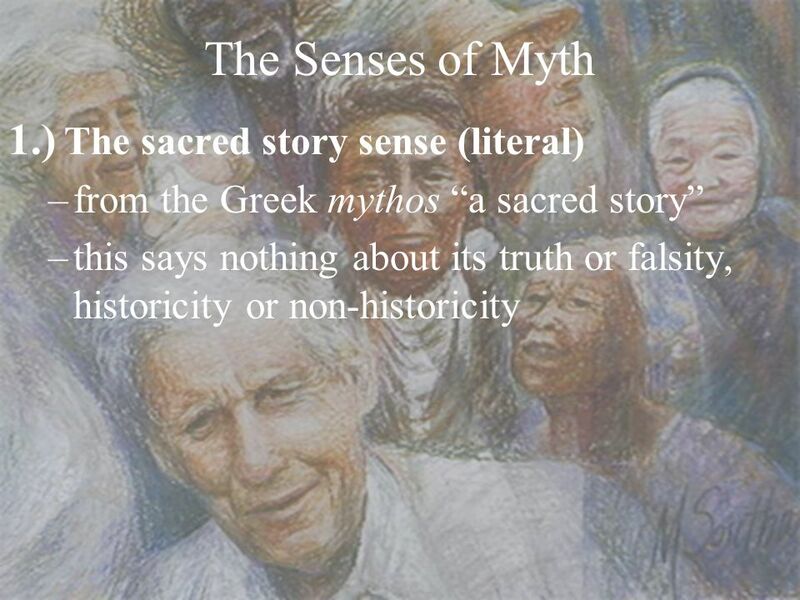 If the disease is myth then the cure can also be myth. 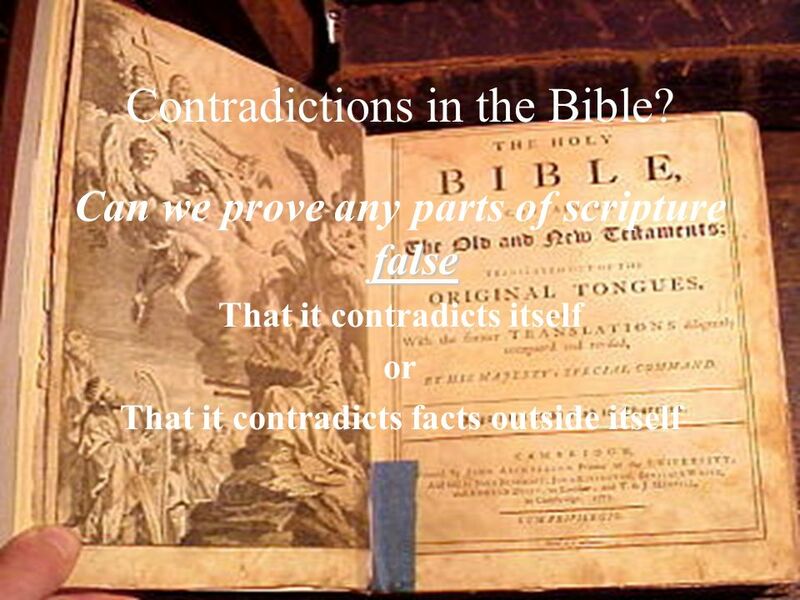 40 Contradictions in the Bible? 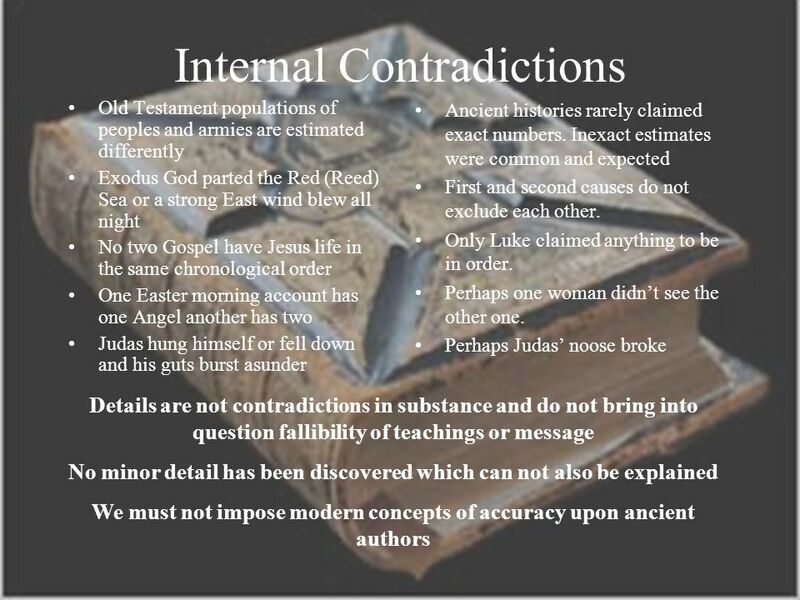 42 Contradictions in God God is eternal and changeless God is just and punishes the wicked God is one God is awesome and terrifying God acts and effects changes in time and history God is merciful and revokes eternal punishment for the repentant God is three God is compassionate and comforting God’s essence is timeless but he effects changes in time. 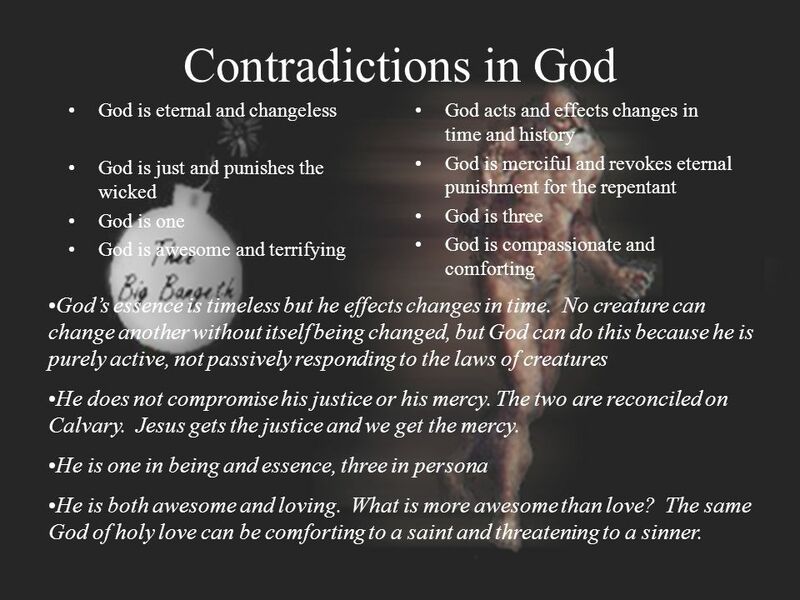 No creature can change another without itself being changed, but God can do this because he is purely active, not passively responding to the laws of creatures He does not compromise his justice or his mercy. The two are reconciled on Calvary. 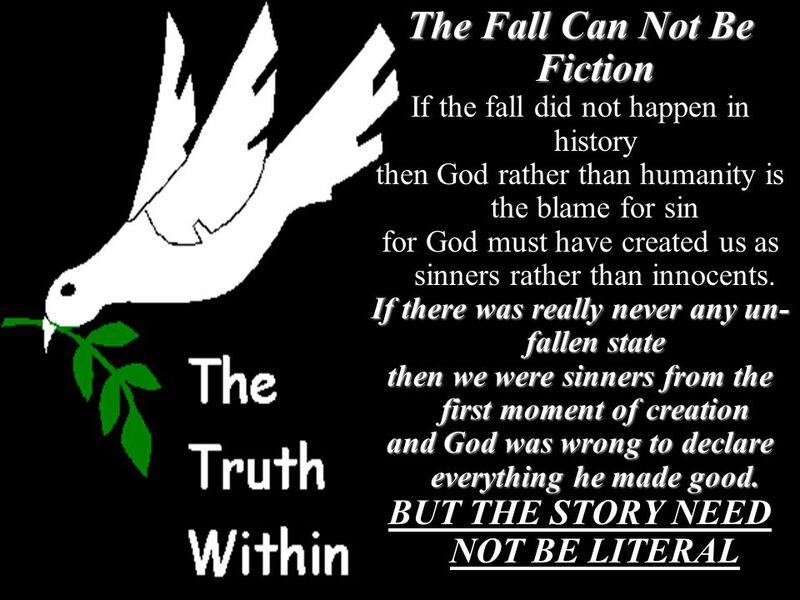 Jesus gets the justice and we get the mercy. He is one in being and essence, three in persona He is both awesome and loving. What is more awesome than love? The same God of holy love can be comforting to a saint and threatening to a sinner. 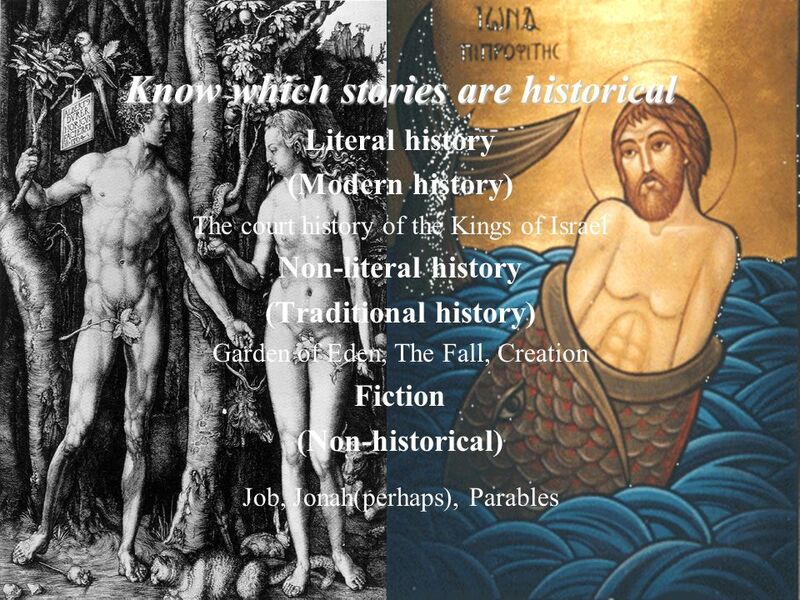 Download ppt "The Bible:Myth or History?" 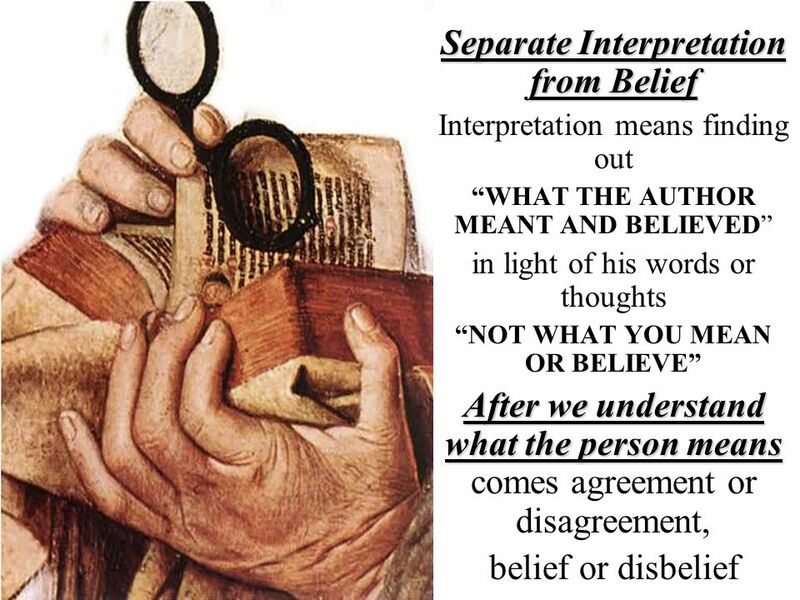 Lesson 4: Gather Evidence & Handle It Correctly. 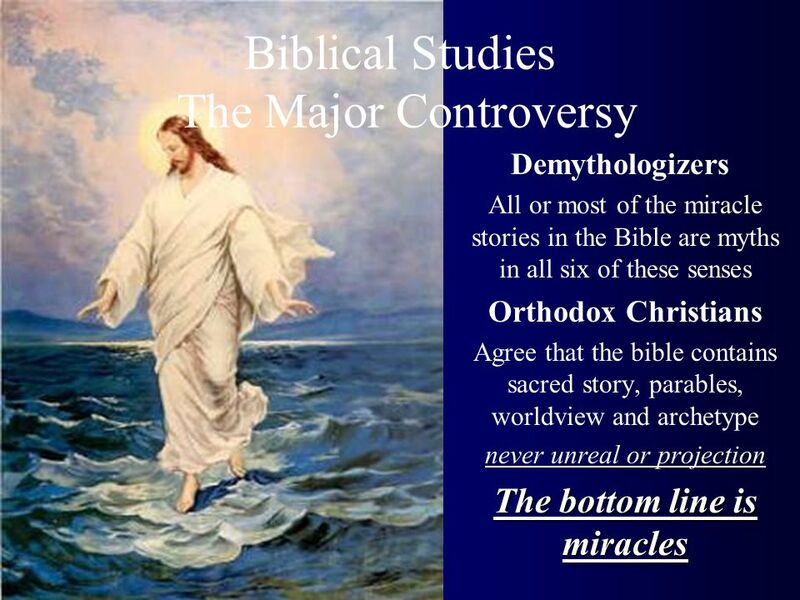 Gather all the relevant Scriptural evidence on any Biblical subject. – There is a difference between. 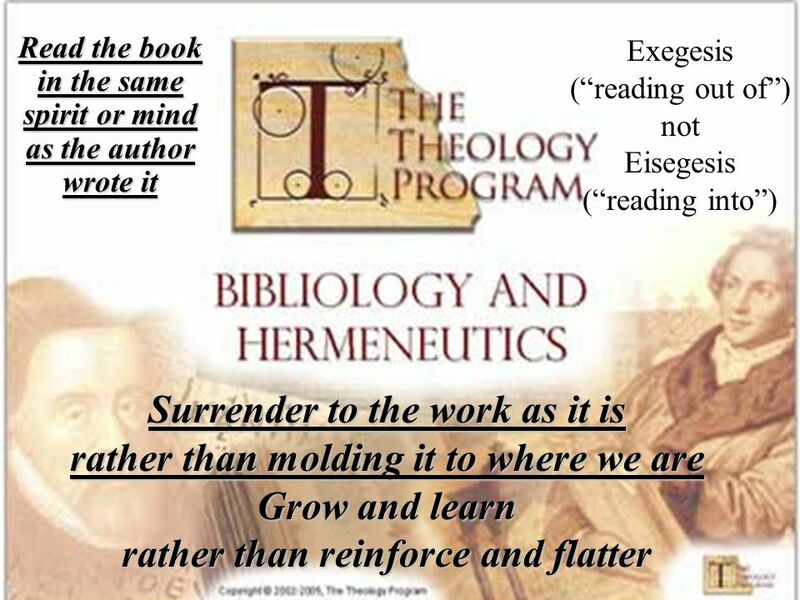 Nurturing the Nations Nurturing the Nations Reclaiming the Dignity of Women in Building Healthy Cultures The Bible. 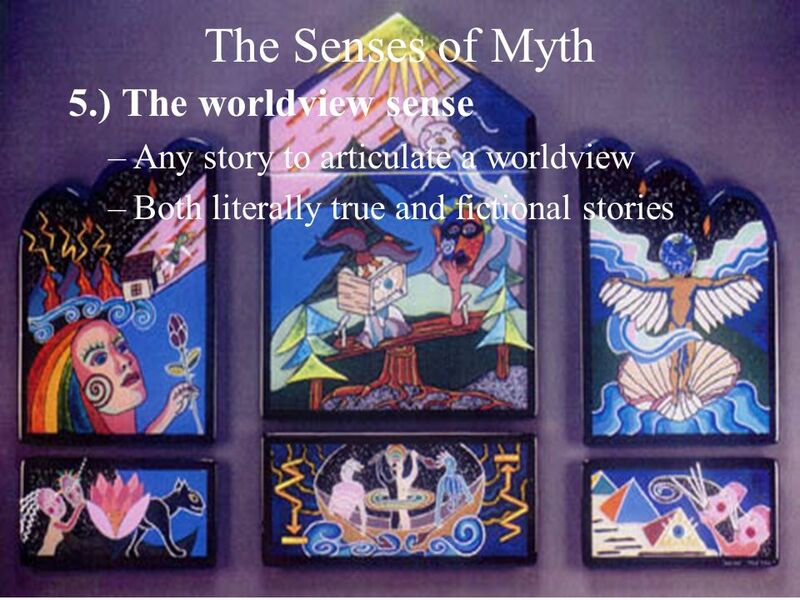 Nurturing the Nations Reclaiming the Dignity of Women in Building Healthy Cultures The Bible. 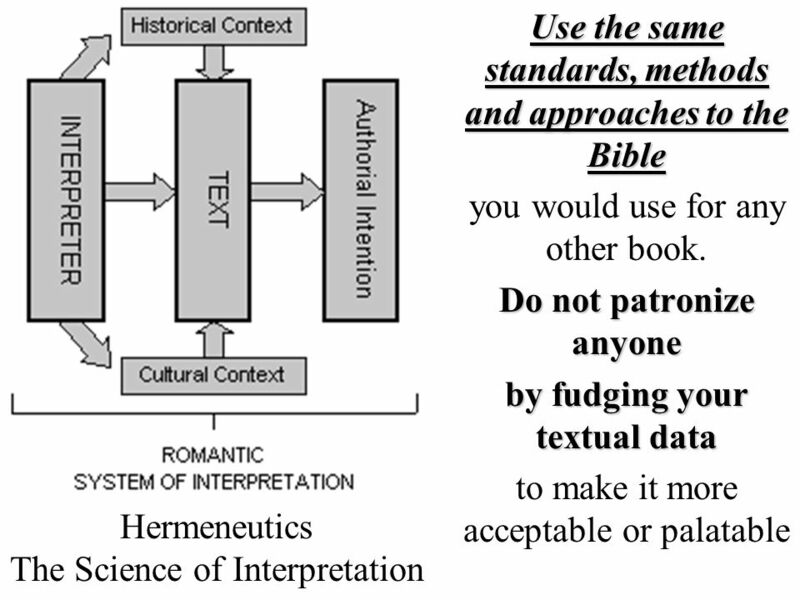 CHAPTER 2: INTRODUCTION TO SACRED SCRIPTURE Bible as an inspirational collection of writings, the written record of God’s Revelation What does it mean. 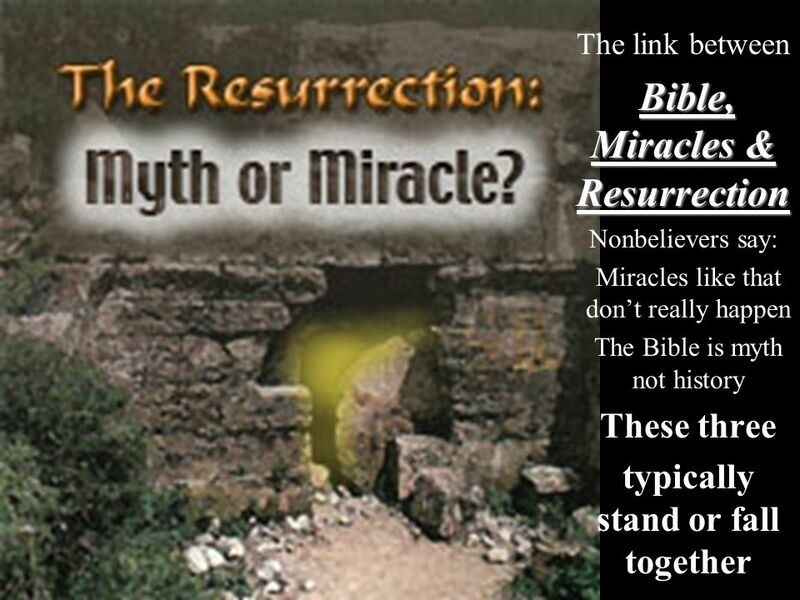 Revelation Natural & Divine Revelation. 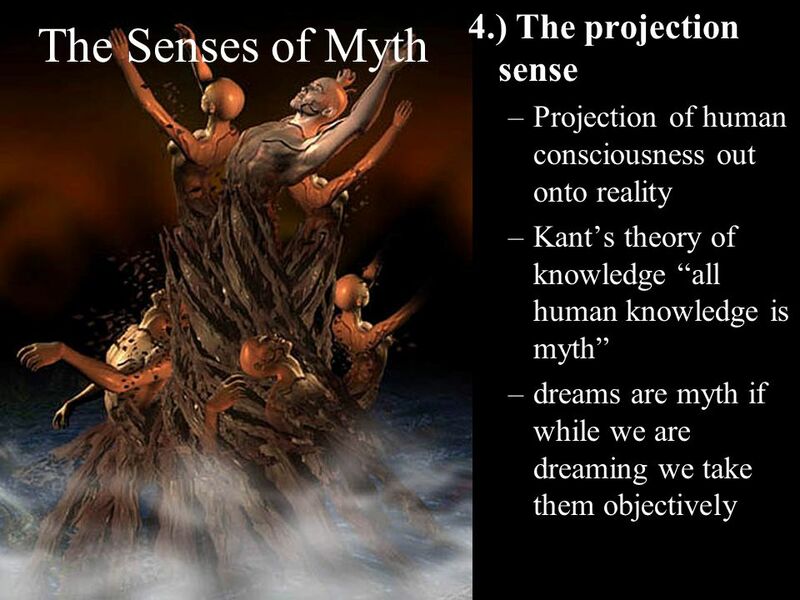 Natural Revelation Observe universe/nature and come to see God’s Reality Observe universe/nature and come to see. 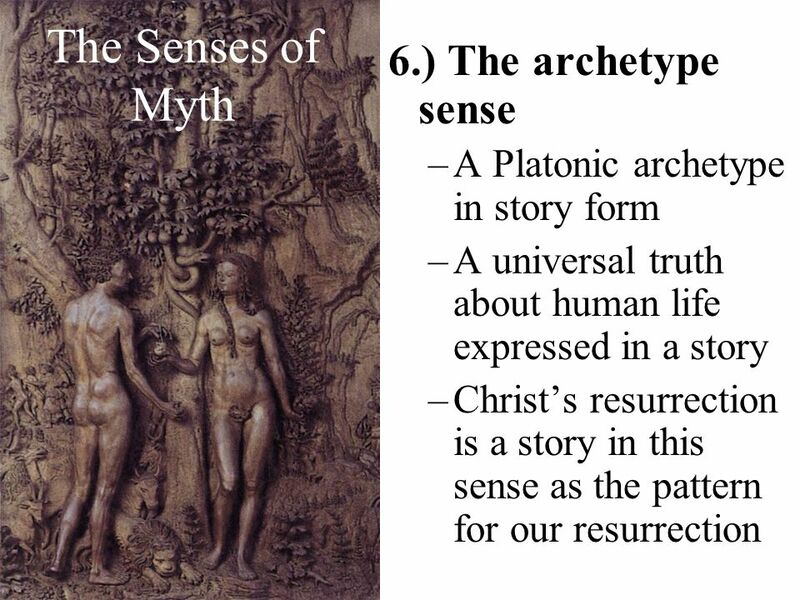 The Substance of Faith An Evidence and Foundational Christian Curriculum Truth Part 1b. 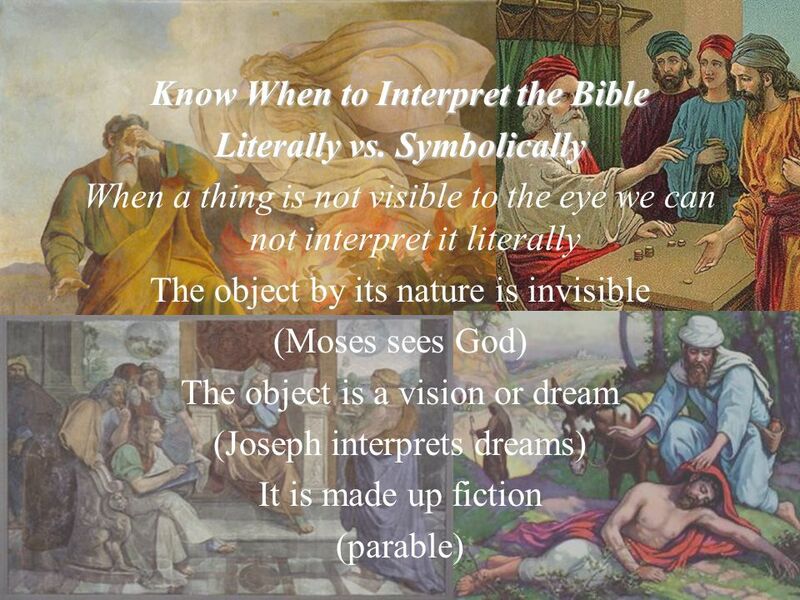 The Study of God, Jesus Christ, and Holy Spirit..
Interpreting the Bible Class Notes. 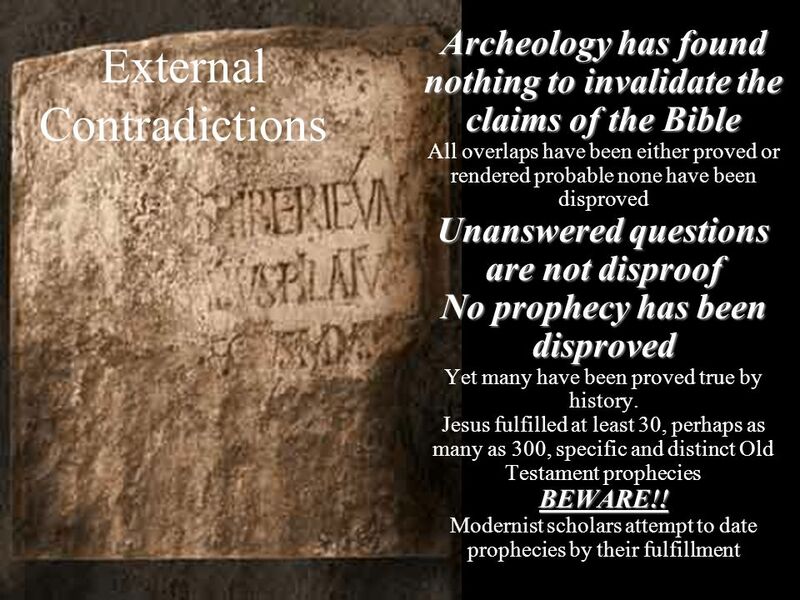 Biblical Archaeology Last 50 yrs have seen a dramatic increase in the number of archeological digs in Israel. Result. 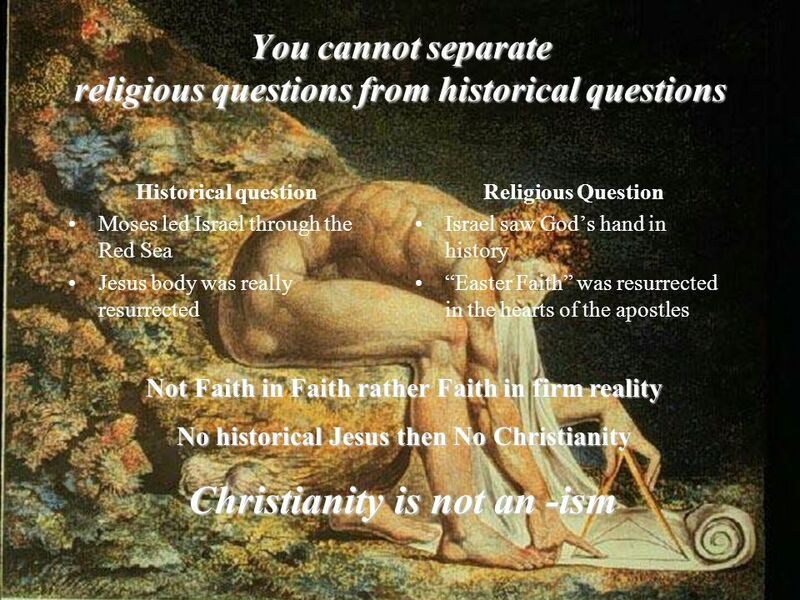 Christianity The Bible. 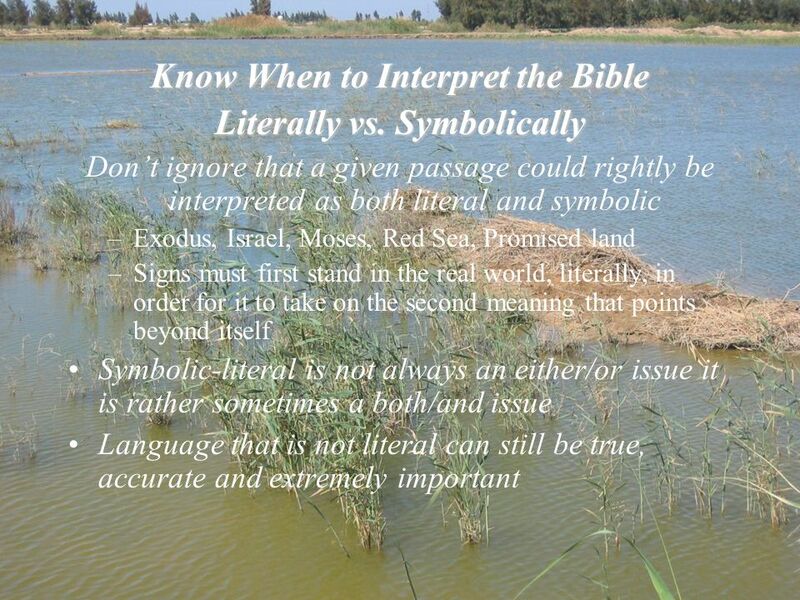 Contents The Basics The Old Testament The New Testament Using the Bible Interpreting the Bible Summary. The Goodness of Creation. 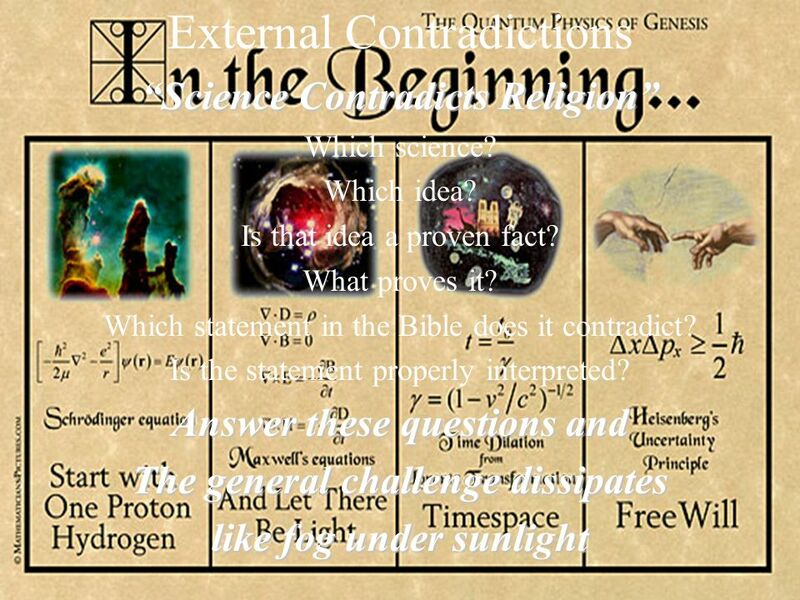 Faith & Science Modern Science has come a long way in explaining the beginning of the universe, its growth and even the end.